What fails faster than me trying not to eat Taco Bell when I’m trying to lose weight? Seriously, every year we get a new round that’s been declared the latest and greatest. 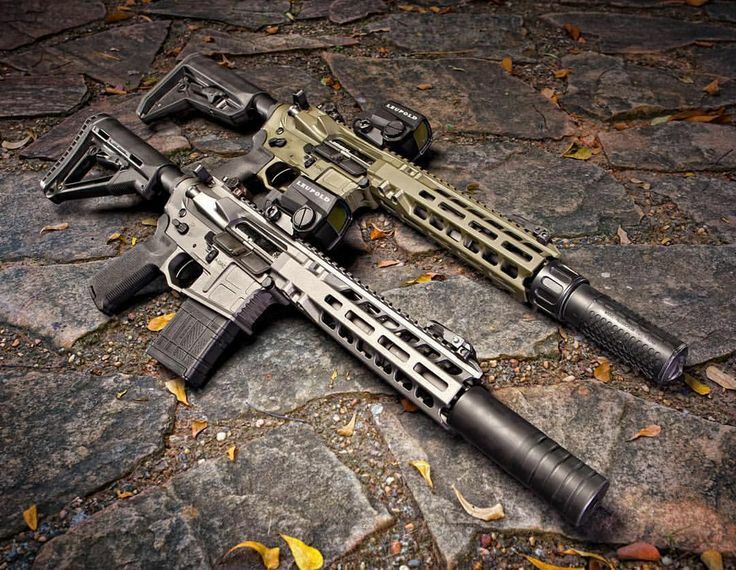 The 6.8 SPC, the 6.5 Grendel, and this year we’ve seen the rise of the .224 Valkyrie. Sure, some of these rounds don’t completely fail. Their cult status lets them keep living a sort of half-life – but most of them have the shelf life of freshly baked bread. One round that hasn’t failed is the 300 Blackout. In fact, it’s simply grown and grown in popularity. The round was introduced at the best time possible! As the shooting industry was beginning to lean towards short rifles and suppressors – the 300 Blackout just so happened to be designed for short barreled rifles, equipped with suppressors. It was one of those moments where everything collided just perfectly. While initially designed for a military RFI (Rapid Fielding Initiative) the civilian market accepted it quickly. The 300 Blackout functions perfectly in an AR-15 platform with hardly any changes, this makes it inexpensive to adopt and easy to test out. If you have a 300 Blackout weapon you need to feed it right? We’ve put together some of the best 300 Blackout ammo on the market. Given the fact the 300 Blackout is such a versatile round we’ve broken up our choices by end purpose. 300 Blackout is slowly becoming a more affordable round. It may be nowhere near as cheap as 223 or 7.62×39, but the price has been dropping constantly. It was initially near a buck a round, and at that price all you’ll hear while shooting is ka-ching, ka-ching ka-ching. Luckily, prices have dropped, and ammo is hitting well under a dollar a round. Now if we avoid questionable reloads and want quality factory loads we are lead to Magtech First Defense. I’ve always found this 123-grain FMJ ammo to be affordable, reliable and easy shooting. Supersonic ammunition and flies forward at a blistering 2230 feet per second, the ammo uses premium brass cases and high-quality FMJ projectiles. This is very basic ammunition designed to function reliably and accurately for all your training needs, perfect to be bought in bulk. When it comes to purely plinking you can trust some lower quality rounds, but in good conscience, I won’t suggest anything that might blow your gun up. Magtech consistently makes quality ammunition. When the times comes to put lead downrange regardless of the reasons you’ll be hearing bangs and not clicks. This ammo is a solid choice for general fun gunning, tactical training, three gun, and more. One of the best things about the 300 Blackout round is the fact it’s superbly versatile. The rounds can range greatly in weight from light 90-grain supersonic loads to 220-grain subsonic baseball bats. When it comes to a suppressor slower is better. A subsonic round lacks that supersonic crack. A suppressor only stops the blast at the muzzle end of the gun. It does nothing for the supersonic crack. A subsonic load through a suppressor is nice and quiet. Nowhere near movie quiet, but quiet enough to be hearing safe. One solid subsonic load for the suppressor enthusiast is the Sellier and Bellot 200 Grain FMJs. These are on the lighter side of subsonic loads, so they move a little faster than the 220 grains and this translates into a little extra energy. The lighter loads are chugging along at only 1,060 feet per second. With rounds like this, you are getting performance a little better than a 45 ACP round. Slow is smooth, and smooth is basically a handgun round. It’s one of the joys of the 300 Blackout platform. It’s effectively suppressed at the cost of the long-range ability. Swap in a magazine full of supersonics and bam you got your long-range performance back at the sacrifice of getting a little louder. I personally hunt with an AR-15 and don’t see an issue with it, but the 300 Blackout has found its way into guns like the Ruger American rifle. It’s a great hunting cartridge and can be used both in a suppressed platform and a loud platform. The only thing you need to consider when using 300 BLK to hunt with is that it offers a limited range, 200 yards for supersonic ammo and 150 yards or less for subsonic ammo. When it comes to hunting I’d stick with a supersonic cartridge. They fly further, hit harder, and are much more capable of quickly killing your game of choice. 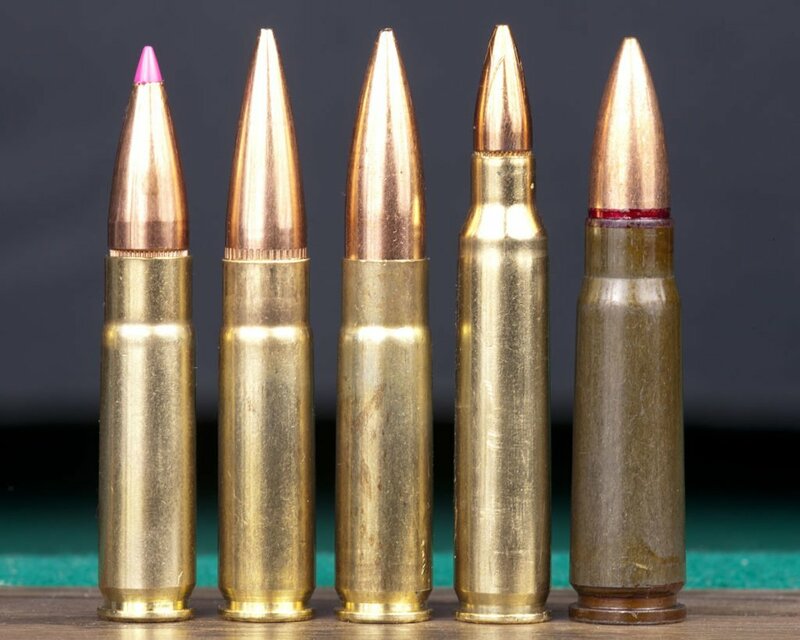 There are a number of different hunting cartridges out there for the 300 Blackout, but one that’s proven is from Barnes. As it penetrates it’s also going to open up and expand. As it expands it leaves a wake of destruction which increases your chances of a one hit kill. This is a humane round that will put a deer down without issue. Barnes is a premium ammo and it comes at a premium price, but the pay off is ethical hunting and that makes it worth the extra cents. A suppressed, short barreled rifle is a mighty good home defense device. Even if you subtract the short-barreled part a semi-automatic rifle is a helluva way to deal with things that go bump in the night. To do so you need the right ammo. A standard FMJ isn’t going to do it. They pass through walls, furniture, and everything else a little too easy. Plus, they aren’t the most efficient “man stopper”. For this the Fiocchi 300 Blackout load is perfect. This is brass cased premium round loaded with one bad projectile. The projectile is from Hornady and weighs 125 grains. The projectile is a Super Shock Tip projectile. It reaches 2,200 feet per second and is designed to deliver controlled expansion at high velocities. A magazine of two of these bad boys is going to be one helluva solution to whatever problems you may have. Using a rifle for self-defense does require plenty of practice and if you make that decision you need practice. Make sure you get both a good self-defense round and a lot of ammo to train with. If you noticed my selection for training ammo was a 123-grain round and my choice for a self-defense round is 125 grains – I do this so that the recoil and operation will be as close as possible without having to spend the money on mass amounts of high-end ammo. The 300 Blackout is a modern little cartridge that absolutely rules the 0-300-yard range. It’s potent, powerful versatile, and popular enough to give you a wide selection of rifles to choose from. You can do a lot with a 300 Blackout rifle, and the task you choose is going to determine the ammo you need. Certain tasks don’t work well with certain ammo so make sure you pair the right ammo with the right tasks. If you’re looking to build a 300 BLK rifle for yourself, take a look at our top picks for 300 Blackout Uppers! Do we have any 300 Blackout aficionados in the house? Let us know in the comments what is your favorite 300 BLK ammo and why! Ok, I’m perfectly clear on the self defense rounds. Not really. I saw the Lucky Gunner gel test of handgun ammo, but sadly haven’t seen a rifle equivalent. I get the concept of over penetration, but again I do not see actual tests demonstrating that concept with data that I can use for an informed decision. Plenty of personal experience and learned wisdom out there though. I can see the logic in a handgun for close range, but from close range to 100 or 150 yards is that a shotgun or 300blk, or 5.56, or something else. Out of all the sub loads for 300 BLK what are the top 10 or 5 with the quietest sound and can be fired without a suppressor and will load properly in a ar pistol. Same goes for 9mm in ar pistol platform n glock, .45 acp in ar pistol platform, n 5.7 in ar pistol platform and fn pistol. I use CZ 7.62×39 carbine and Ruger Scout .308 to hunt deer and hogs. Two years ago I bought a Ruger American Ranch in 300 Blackout and learned to love the caliber. I even built an AR with 16” barrel around that caliber. I get consistent devastating result using the all copper Sig Elite 120gr HT hunting ammo at less than 100 yards. Hearts turned to mush. Couple times I used a Remington 120gr OTFB with Barnes casing on hogs. Result was great. Will try the Fiocchi SST on my next outing.